Bernard Goh, the founder and artistic director of HANDS Percussion, graduated from the MIA with a Diploma in Graphic Design. A multi-award winning instructor of the brass bands for 6 years, Goh became passionate about Percussion Music. He then learnt ‘Shigu’ drumming from Tan Fui Choong, the founder of the 24 Chinese Drum Troupe. Currently, he is the chairman of the “Chinese Assembly Hall 24 Chinese Drum Promoting Group”. Under Goh’s direction, HANDS Percussion has become internationally recognized, performing at International Arts Festivals in Europe and Asia since 2005. Goh is actively involved in the local performing arts scene as a musician and Music Director for numerous performances since 1998. At the 2003 Boh Cameronian Arts Awards, Goh received the Best Original Music (Theatre) award for Rashomon. In 2011 and 2012, he won the “Best Music Direction” for his production “Dreams in November” and “Knocking” at the 8th and 9th Boh Cameronian Arts Awards respectively. 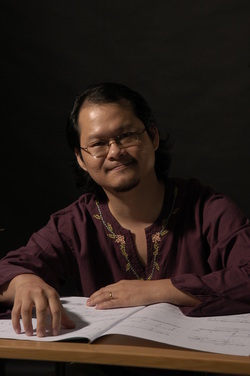 Composer Kee Yong CHONG, the winner of multiple awards and one of Malaysia’s leading contemporary music composers. His work has been hailed as “imaginative and poetic” by conductor-composer Peter Eötvös, and as “very inventive and artistically pure” by composer Jonathan Harvey. Chong's distinctive style has won him an unending series of awards and commissions, for example 2 times Prix Marcel Hastir (Belgium), the grand prize winner of Malaysian Philharmonic Orchestra International Composers' Award, BMW prize in Isang Yun Music Award and many others. Chong was the artistic director of the 2009 Kuala Lumpur Contemporary Music Festival and the SMCC Contemporary Music Festival 2013. Dr. Hoh Chung Shih is a Singaporean composer, guqin (古琴) player, sound artist, and an interdisciplinary researcher. Currently, he is a Lead Teacher at Raffles Institution. Formerly, he was on the faculty of SUNY Buffalo, SIM-Global, and University of Redlands. As a composer, his music receives commissions and performances worldwide. Hoh is also a member of the Electroacoustic Music Studies Asian Network; a principal investigator in a collaborative project with the Geographical Information Science Program of University of Redlands; and a composer-advisor for the National University of Singapore, Interactive and Digital Media Institute Networked Music Ensemble Project. He is also the Artistic Director for the Magnetic Band, Singapore’s first contemporary music ensemble. As a guqin player, he has performed frequently with the MLuM. 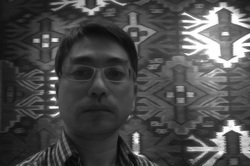 His artistic interests include cross-cultural dialogs; Chinese and East Asian cultures; European and American Experimentalism; trans-media expressions; and interactive computer music. 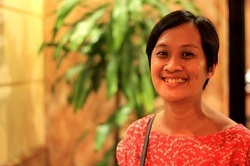 KOK Siew-Wai is a video artist, vocal improviser and artist-organizer. She received her B.A. in Media Study at SUNY Buffalo and M.F.A. in Electronic Integrated Arts at Alfred University, USA. Kok has exhibited and performed locally and internationally since 2001, and also participated in festivals such as We+Media KOSMA Spring Symposium 2013 (Korea), Bangkok Experimental Film Festival 2012, Malaysia-Japan Video Art Exchange 2009-2010, International Film Festival Rotterdam 2007, Beyond/In Western New York Biennial 2005 and more. Kok is the co-founder of artist collective Studio in Cheras, Kuala Lumpur, co-director of Sama-sama Guesthouse Mini Alternative Art Festival 2010, and co-coordinator of Notthatbalai Art Festival 2007. As Festival Director of Kuala Lumpur Experimental Film & Video Festival (KLEX) since 2010, Kok has curated special video screening programmes from the KLEX archive to be shown both locally and internationally. She is currently lecturing at the Multimedia University, Malaysia. Lin Fang-Yi graduated from Universität für Musik und darstellende Kunst Wien in Austria under the tutelage of Swiss composer Michael Jarrell. Residing in Taiwan since 2002, Lin has continued composing while working as a music editor for the Performing Arts Review. She is regarded as one of the top critics in the field of performing arts in Taiwan. Since 2003, Lin has served as a member of the Nomination Committee and the Semi-Finalist Selection Jury for the Taishin Art Awards, an evaluation committee member for the National Culture And Arts Foundation and a member of the consultant committee for the Taipei Arts Festival and Taipei Fringe Festival. 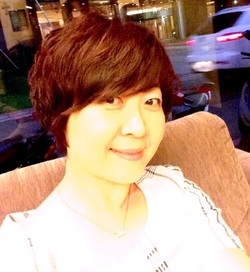 She is currently working as an Executive Officer at the National Center for Traditional Arts, Ministry of Culture Taiwan since 2012 and Curator for the National Concert Hall, National Theatre Taipei. Dr. Ruth Rodrigues obtained her doctoral degree at the University of Birmingham, UK as a musicologist and violinist. Since returning to Singapore in 2010, Ruth has held teaching positions at Raffles Institution, Raffles Girls’ School (Secondary), Yong Siew Toh Conservatory of Music and LaSalle College of the Arts. Ruth begun violin lessons at 3 years old, and is now an active performer. Recent recitals included performances of both contemporary and traditional repertoire, such as Ysaÿe's solo sonatas and the Korngold and Tchaikovsky Violin Concertos. She has performed with the Singapore Lyric Opera, and The Philharmonic Orchestra, in which she is a committee member. Ruth is currently teaching at Raffles Institution and a peer reviewer for the e-journal e-Pisteme (University of Newcastle, UK). In addition, she has presented papers at conferences such as Sound and Performance (University of Bayreuth), and (MUSIC ∧ DANCE) ∈ ENVIRONMENT (Universiti Putra Malaysia, KL). She has a forthcoming publication, focusing on early twentieth-century violin playing techniques. William Lane performs actively as a soloist, orchestral player and chamber musician. Recipient of a number of scholarships and prize-winner at various international competitions, he has studied under Jan Sedivka (Australia), Bruno Giuranna (Italy) and Garth Knox (France), as well as in Germany at the International Ensemble Modern Akademie. 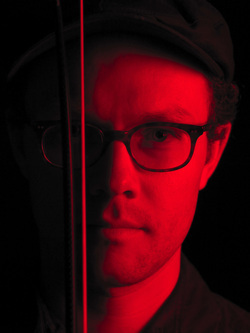 Lane was Principal Viola of Ensemble Resonanz (Hamburg, 2007-2008), freelanced with Ensemble Modern (Frankfurt, 2006-2007), and the SMASH Ensemble (Spain, 2008). As an orchestral musician, he has worked as a violist with the Hong Kong Philharmonic, Principal Viola with the Australian Youth Orchestra and freelanced with the Tasmanian Symphony Orchestra. 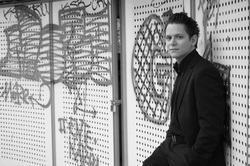 Lane is currently Artistic Director of the Hong Kong New Music Ensemble. He has also appeared as guest lecturer and performer at University College Cork (Ireland), University of Newcastle (UK), Australian Institute of Music (Sydney), Princeton University (USA), Kings College (London), and universities in Hong Kong. 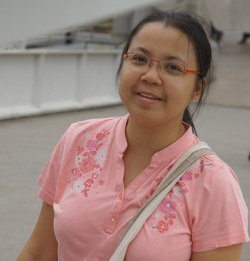 In addition to being the winner of Malaysian Philharmonic Orchestra Forum for Malaysian Composers (2007), Yii Kah Hoe also received the 3rd Prize in the International Composition for Chinese Orchestra organized by the Singapore Chinese Orchestra (2006), and was a Finalist for the International Composers Competition "Città di Udine" (Italy, 2010). 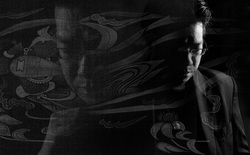 Yii’s music has been described as bold and avant-garde, where he uses various sounds and rhythms of many traditional instruments from different ethnic cultures around the world. He also uses musical space as a canvas to do sound calligraphy inspired by Chinese ink paintings that he has been practicing in his younger years. His keen interest in ethnic and traditional music has prompted him to continue his study and research on a wide range of folk and ethno musical materials across Southeast Asia. In his music, Yii successfully blends western and non-western aesthetics, concepts and traditions together to create his own sonic world to express his inner spirituality. 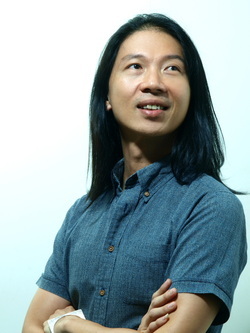 In 2009, Yii was the festival director of the Kuala Lumpur Contemporary Music Festival and is currently a senior lecturer at SEGi College Subang Jaya, Malaysia.